The New York Times article, “Exercise is Not the Path to Strong Bones,” by Gina Kolata, has certainly created an uproar. It’s a shocking title, especially for those of us working hard to keep up our bone density. One friend suggested perhaps it was an April Fool’s joke, and frankly, I had the same thought last night. My knee-jerk reaction is to always try to find the good in anything, but in my opinion, that wasn’t a well-thought-out article about exercise and strong bones. It addressed an important misconception, but then proceeded to be all over the place with inaccurate conclusions. In my opinion, it wasn’t helpful or good journalism. To be helpful, it should have said, “Exercise is the Path to Build Bone in Youth and Maintain Bone Density and/or Slow Down Bone Loss After Age 30.” —Long, specific, but not nearly as attention grabbing. I wonder why Kolata paid no attention to the fact that astronauts now spend 2 hours a day doing cardio and strength training with a massive weight machine in space to maintain their strong bones. —Or why she didn’t consult experts such as Beth Dawson-Hughes, director of the Bone Metabolism Lab at the Jean Mayer USDA Human Nutrition Research Center on Aging at Tufts University and a professor of medicine at Tufts. To be fair, the misconception listed in the NY Times article, “All you have to do is walk or do modest strength training exercises to build strong bones,” is indeed a misconception. Walking contributes to maintaining bone or slowing down bone loss (so keep it up! ), but has never been shown to build bone. Modest strength training also doesn’t build bone, but research shows that higher intensity strength training can, by around 1%. Strength training needs to be more than modest—enough to challenge the bones—to get them to pay attention and activate osteoblasts, the bone-building cells, to maintain or slow down bone loss. IMPORTANT!—The problem is, scientists consider a 1% gain in bone density to be holding steady, not building, hence the suggestion that exercise doesn’t help build bones. It’s also curious to me that the NY Times article makes the blanket statement, “Exercise is Not the Path to Strong Bones.” It isn’t accurate for all age groups, in light of solid exercise research done through the decades. For young people, exercise is vital for building peak bone mass. Sedentary people lose bone mass. By age 30, peak bone mass has been achieved and it’s a matter of maintaining as much as you can for the rest of your life. Exercise gives your bones a reason to be strong. Without it, your body senses that it doesn’t need strong bones and the bone building cells, the osteoblasts, don’t keep up with the bone clearing out cells, the osteoclasts. Other factors besides exercise also influence bones, such as genetics, nutritional support, bone-depleting medications, alcohol and smoking. One’s best efforts with exercise may be no match for genetics or a medication that prevents calcium absorption. But it’s still important to fight back and keep exercising! 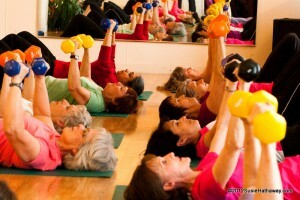 Exercise, no matter what your age, is a very important part of the equation for bone health. Tufts scientists moved on to researching higher intensity strength training, around 80% of a person’s maximum and had tremendous results, even with nursing home residents with at least 2 chronic diseases. Dr. Nelson’s pioneering research from over 20 years ago showed that postmenopausal women could gain 1% bone density with strength training, while the control group that didn’t strength train, lost 2%. Research shows that for those in their middle and older adult years, moderately-vigorous to vigorous exercise can contribute with these small gains or help maintain or slow down the loss of bone density that naturally comes with age. Exercise may not build bone back, but maintaining or slowing down that loss is a huge benefit. Note: How hard a person with bone loss can exercise is best determined with one’s health care provider and a physical therapist. I make my living with exercise. I have 2 DVDs on strength training that I sell on Amazon, and my day job is teaching women how to strength train. We have a blast together, we keep learning, we keep hope alive that we’ll make it to the end, independent and in fine form. I’m one of the folks putting exercise advice from university research out there into the world and I need to keep my facts straight. At least half of the women in my classes have osteoporosis. Combing through exercise research is a constant in my life. For years, I made posters, brought handouts, and gave a running commentary during my class warm-ups, letting participants know about the latest university research on why strength training and weight-bearing cardio are fabulous for healthy bodies and strong bones, especially for those of us over fifty. Now, I blog and send an online newsletter, instead of making those posters and handouts, but still give daily tips, backed up by research, to keep everyone motivated to move. *See the links below for some of that research. Strength training at a modest intensity is not going to help. Working up to (safely and gradually) a moderately-challenging to challenging intensity, is needed in order to make a difference for our bones. The difference is not in building large amounts of bone, but maintaining what we have and slowing down age-related bone loss. Gains in the 1% range are so much better than continually losing bone. And those stronger muscles you build while exercising will help you stay agile, on your feet, with the necessary strength and balance to give you a better chance of breaking a fall, not a bone, if you do trip. Bone health across the lifespan–exercising our options. Thanks for posting this. I am a personal trainer in CAlifornia and focus on strength training women from peri-menopause on, to promote bone health and prevent sarcopenia. I just finished going to the American College of Sports Medicine Conference and read The Harvard Medical Schools Special Health Report: Osteoporosis, A guide to prevention and treatment. Every presentation I went to and the Harvard report recommend strength training for stronger bones. Bone density is not the only measure of the strength of bones. Thank you for your comments, Kim! Yes, bone density certainly doesn’t tell the whole story for bone strength. Thank you for your common sense answer backed up with statistics! Love your DVD! You are encouraging! My pleasure, Pat! I love to get people going with exercise and am happy to hear that you love my DVD. Thanks for the feedback. Susie, thanks for writing this informative article. It really clarifies the research. I have become rather suspicious of motives of some Doctor/author/experts lately, after seeing articles about scientists being bought off or squelched regarding climate change. And I am quite suspicious of the NYT. Their authors and editors can also be bought off by Big Pharma. In this case, Big Pharma’s goal would be to have less people exercise for bone health, and instead take very expensive and profitable drugs. Often, the NYT has good articles, but it seems that they also sometimes love a bit of sensationalism. It was odd, the mention of the new bone building drug because there already is a drug on the market that builds bone, Forteo. Jodi, it’s wonderful to hear of your success with walking, strength training, standing for so much of the day, and doing many bone strengthening moves often. I have to interject a note for caution—Just be sure not to overdo the standing desk. Sometimes joint or foot problems can creep up for those on their feet all day. Popping up and down a lot from a chair can give good stimulus to bones without standing for hours at a time. I alternate about every half hour, moving my laptop to a box. Works like a charm! My lumbar density test was -4.1. I’m on thyroid medicine. What excercise can help me change that? For your situation, needing thyroid medication and having osteoporosis, it’s important to talk with your healthcare provider about all strategies to help your bones—nutritional (adequate protein, calcium, Vit. D, bone medications, addressing other secondary causes for bone loss besides the thyroid meds, and ask for a referral to a physical therapist who specializes in osteoporosis. Even one appointment could help you make sure that you’re moving safely and keeping good alignment to keep forward pressure off of your spine. A PT could get you going with an exercise program and give you advice on strength training, such as if you have a weight limit on how much you should lift or if there are certain moves that you should avoid. 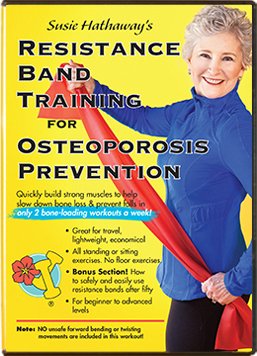 I go through safety precautions for osteoporosis in both of my DVDs, and don’t have any contraindicated moves for those with bone loss, but initially getting one-on-one advice from a PT is the best way to start. Exercise won’t change your numbers significantly, but will still help give your bones stimulation to slow down further loss, as well as help you build strength, balance, and agility. Many can live without fracturing if they always keep upright posture and avoid falling. I did not get into exercise soon enough, have severe osteoporosis from a combo of genes and longterm synthetic thyroid replacement hormone. Two years ago I fractured both legs and a wrist, and then broke a leg again four months ago. I cannot walk or work out without unremitting pain. I don’t see alternatives to medical intervention for me at this time. 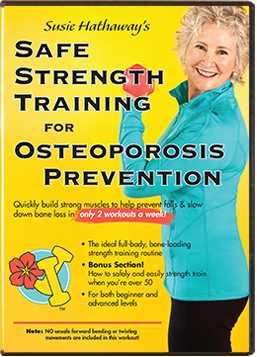 Osteoporosis was invisible until I fell, so I did not recognize the urgent importance of strength training. I urge anyone reading this to get into the routines of protecting your bones now. If I could turn back time that would be a top priority. I hope that you can get good physical therapy for rehab for your leg as well as help moving with less pain. Great response, Susie. I hope you also sent it to the NY Times editor. That is where it should go–or a shorter version. Please try to write one and send it in. Okay, thanks for the suggestion, Susel! I wanted to comment on the site, but there wasn’t a comment option. Unfortunately journalists often don’t understand scientific studies very well – after all, they are “experts” in writing, not usually experts in the subject they are writing about. Assisted by the copy editor’s sensational headlines, they pass that misunderstanding along to their readers. Thank you for calling them out on it. The author does have a science background, but osteoporosis is a broad and controversial field. I think she took what seemed like a reliable resource, but didn’t dig deep enough for a broader understanding. Hi there! Thanks for this blog post after that less than helpful NYT article. I have seen many letters to the editor published in the Times that are authored by experts – and you certainly qualify on that count. Occasionally they will even give someone the opportuniity for an actual op-ed piece as a reply to one of their artiicles (again from someonw who speaks with authority on the given subject.). 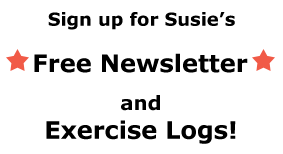 I would encourage you to promptly reach out to the ediitorial page and see if your voice can be heard using exactly what references you have provided to us through your blog. Although they diid not allow comments on the web, I would think you might have success with a letter or, better yet, a thorough op-ed piece. Thanks for all of your great work! Thanks for our suggestion, Emily! I did send it in, but it probably can’t be an op-ed piece because it’s been published already. NYT won’t take any pieces that have been published online or in print. But I asked it they would forward it to the right folks. My recent bone density test was not the same parameter as the previous one, but I was told that I was either holding my own or doing better. No Fosamax for me. Thanks for all you do for this community; hope your message spreads. Thanks, Suzanne, keep up everything that you’re doing! So nice to hear from you! How fun to have your grandson working out along side of you. Keeping those weights in sight is an excellent strategy, plus making the Tuesday and Friday schedule. I am blessed. I found your dvd at Amazon and immediately purchased it. I also did my investigations. The pills my primary dr. caused serious complications. My rheumotologist and neumologist said absolutely NO to meds;just lots of exercise at this stage. So, 2 out of 3 said LOTS of muscle strength exercises. Began today. I’m glad to hear that you’ve been given encouragement from your doctors to exercise. Seeing a physical therapist (PT) for at least one appointment could also be very helpful. Even though I teach safe movement patterns in my DVDs, having some initial one-on-one personal attention could help ensure that you’re moving safely. Interesting to read about your success. I recently had a pacemaker operation and have been “warned” not to lift heavy weights with my left arm so as not to stress the wires inserted into my heart and “tear them out.” Also am 85 years old, so not sure what path to take. I would like to resume weight lifting again, but, will have to seek additional guidance. Am going to start back on the treadmill again and also attend a yoga class for some additional activity. Thanks again. Thanks for your note and I hope you get some good guidance from your doctor and physical therapist. They’ll have the best guidance!